It was the worse two-week killing spree in Ohio’s history. On the night of July 21, 1948, Robert Daniels and John West entered John and Nolena Niebel’s house with loaded guns. They forced the family including the Niebel’s 21-year-old daughter, Phyllis, into their car and drove them to a cornfield just off Fleming Falls Road in Mansfield. The two men instructed the Niebels to remove all of their clothing, and then Robert Daniels shot each of them in the head. The brutal murders caught national attention in the media, but the killing spree didn’t stop there. Three more innocent people would lose their lives at the hands of Daniels and West in the coming week. What led to these brutal killings, and why was the Niebel family singled-out to be savagely murdered? It has been over sixty years since the tragedy, and, yet, this question still remains unanswered. 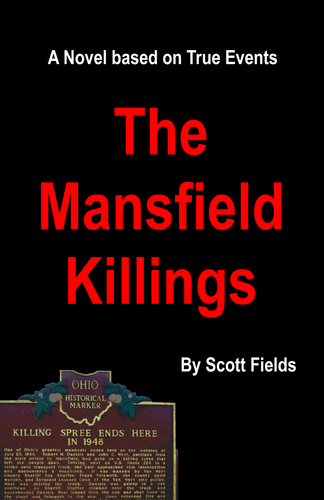 The killing spree is not only remembered to this day, but is an important and dark part of Mansfield lore. Preview this tale of the murder of innocents.